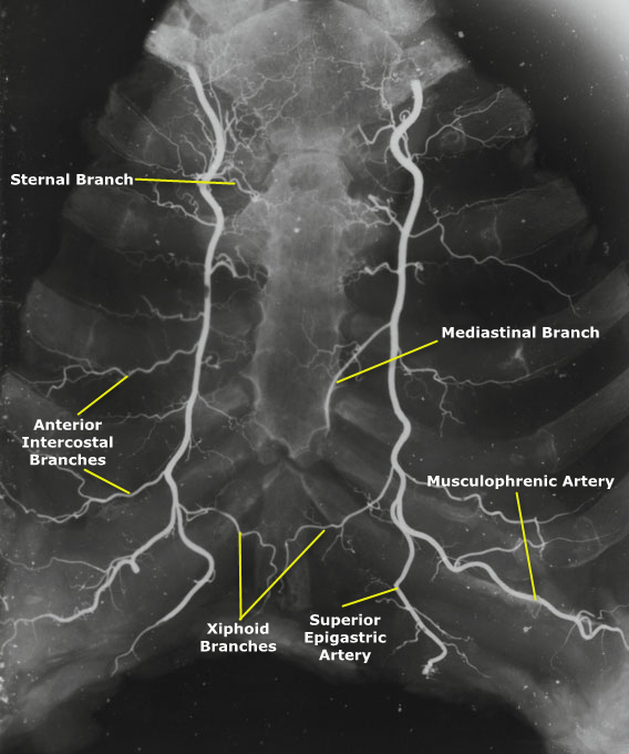 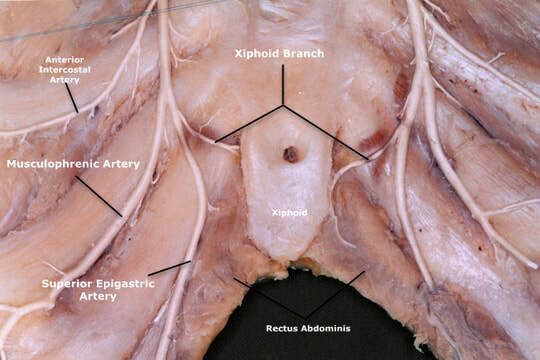 Rarely a branch of the superior epigastric artery. 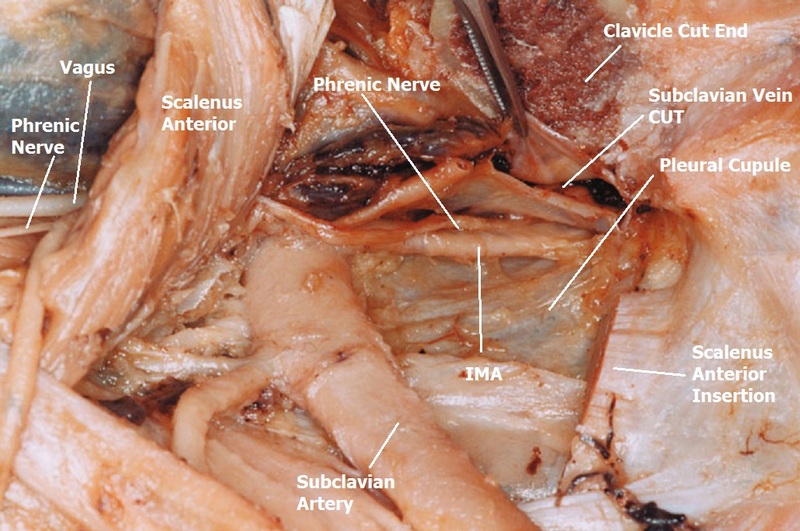 The main source of the sternal blood supply. 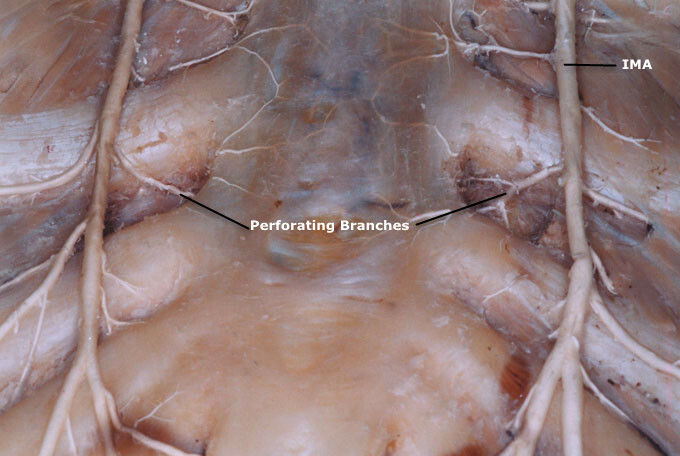 In infant their origin corresponds to the ossification centres of the sternum. 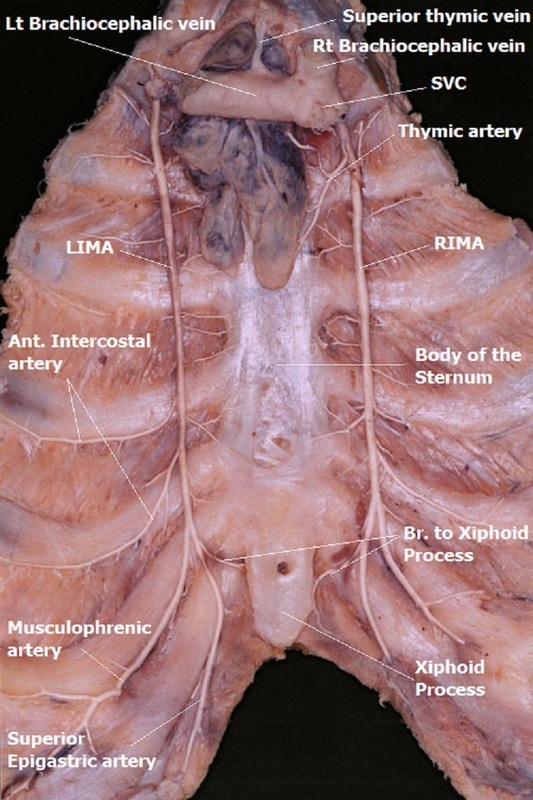 Anastomose with the posterior intercostal arteries. 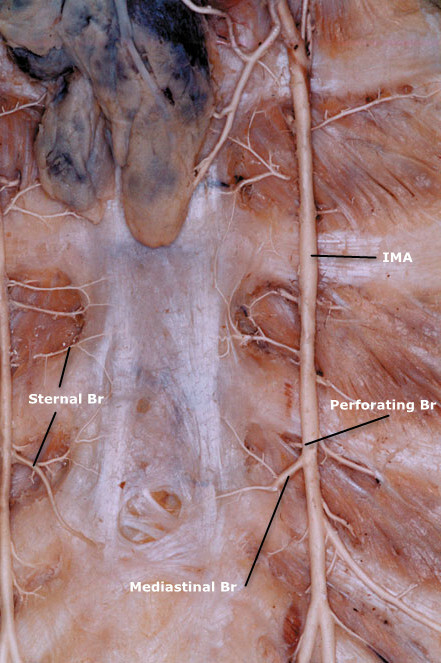 Originate directly, either from the internal thoracic artery or from the sternal branches. 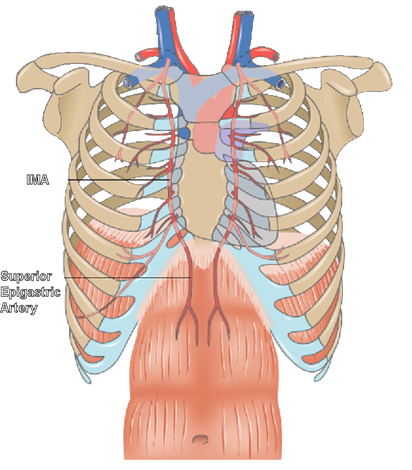 Contribute to the blood supply of the sternum, skin, pectoral muscles, and breast. 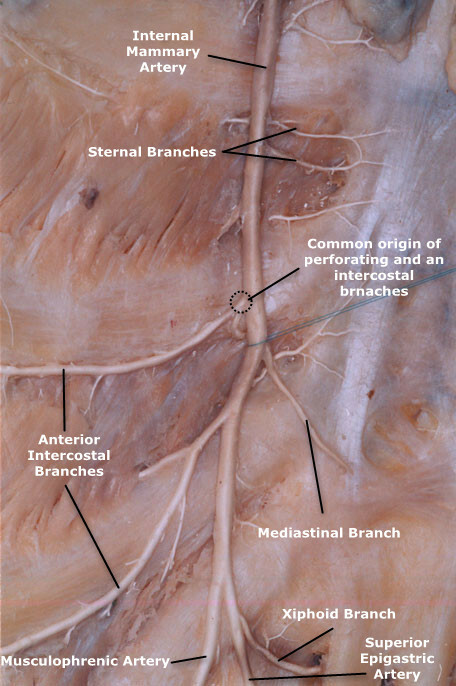 These arteries may be damaged mechanically, especially if the cerclage wires are positioned around the bone in the intercostal space. 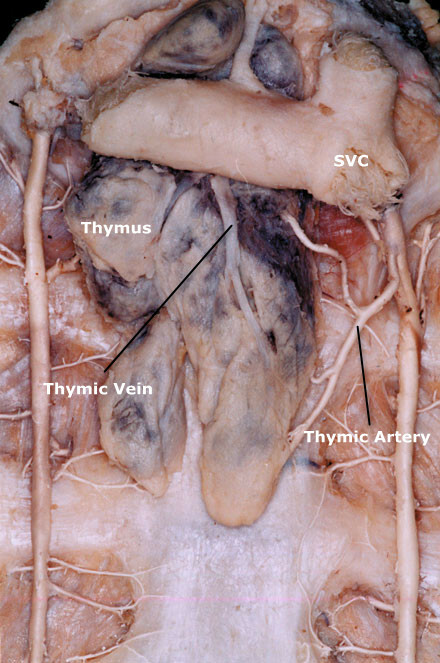 These arcades play an important role in sustaining viability, particularly in those segments wherein the adjoining interspaces have lost their blood supply. 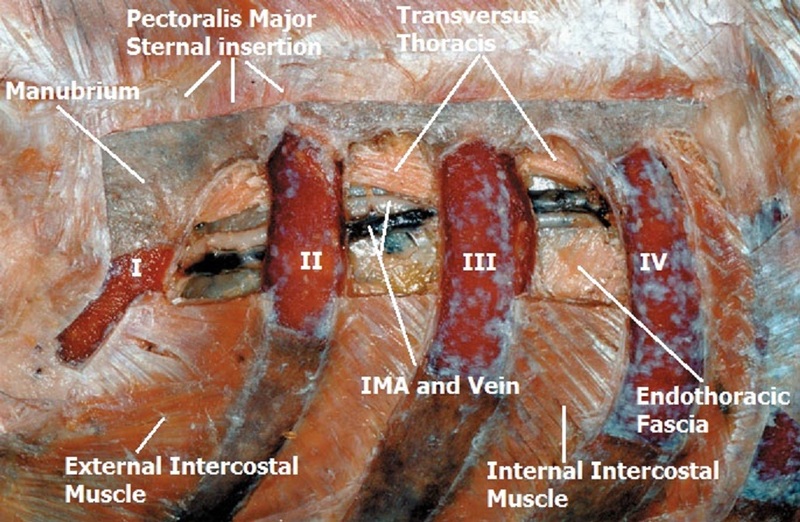 The logical recommendation is to place the wires in front of the sternocostal joint, as close as possible to the sternal edge.